Has the time come to take action on the DIY and builders waste in your garden? If so, we can help. Away With is the first choice for builders waste removal Upminster can depend on for flexible and convenient service at a competitive price. 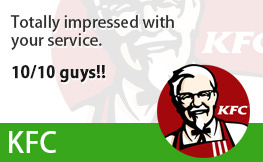 We can even do it on the same day you call us! 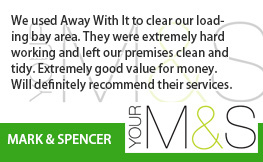 Our friendly, uniformed two person teams will not only use their own dust sheets if they need to move any rubbish through your home, they’ll also give the place a sweep and tidy before they leave too. They also reuse or recycle 80% of the builders waste we collect in Upminster RM14, and, as fully licenced waste carriers, ensure that anything else is disposed of properly too. 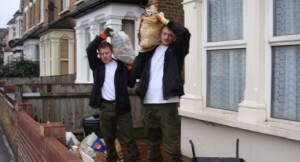 Working with us to arrange the removal of your Upminster RM14 DIY and builders waste couldn’t be simpler. 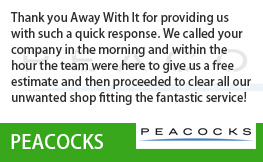 Just get in touch, and we’ll give you a convenient, two hour slot in which we’ll visit your home in Upminster/ RM14. 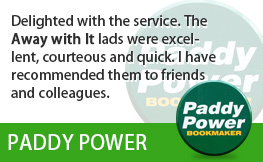 We work all day, every day, from 7am till 11pm and will only ever give you a time slot that works for you. Then, an hour before we’re due to arrive, we’ll ring you up to confirm our ETA so you’re not left hanging about. 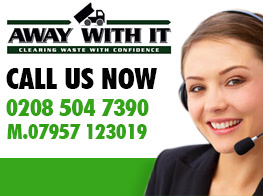 We offer a free, no obligation estimate for our DIY and builders waste disposal service. Unlike the quotes from many other other waste removal companies, this includes all labour, transportation and disposal fees. So no unpleasant surprises when the job is done! 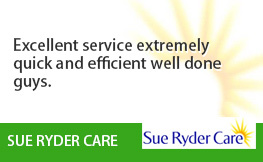 Interested in knowing more about how we can save you time money and hassle with builders waste removal Upminster RM14? 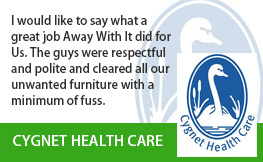 Give us a call on 0208 504 7390 or 07957 123019 to discuss your needs. Or if you’re just after a quick quote or some pricing information,give us all the details using our simple online form and we’ll get back to you fast.